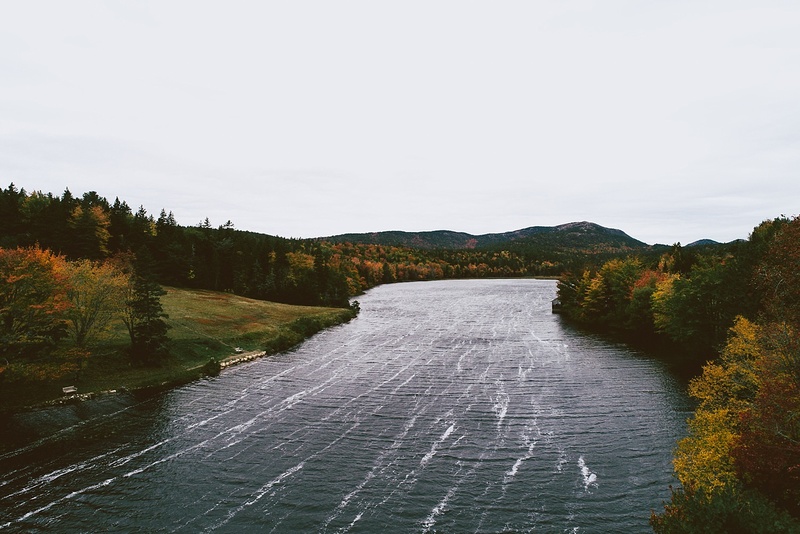 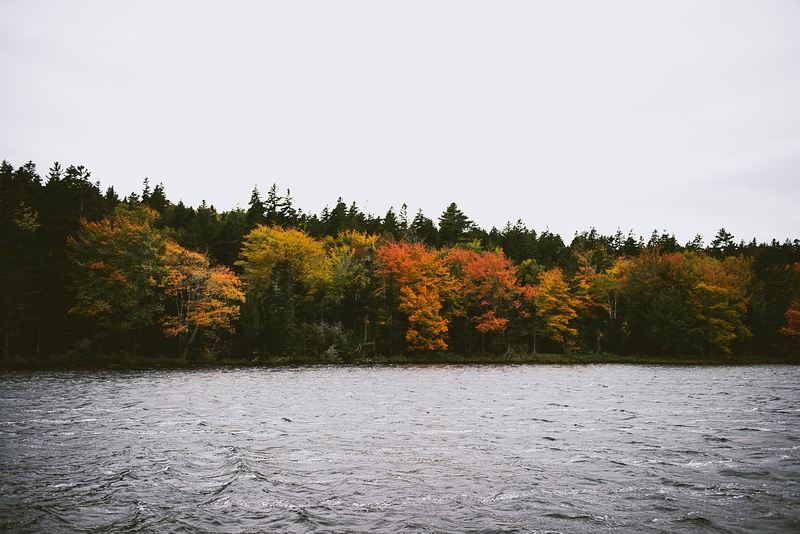 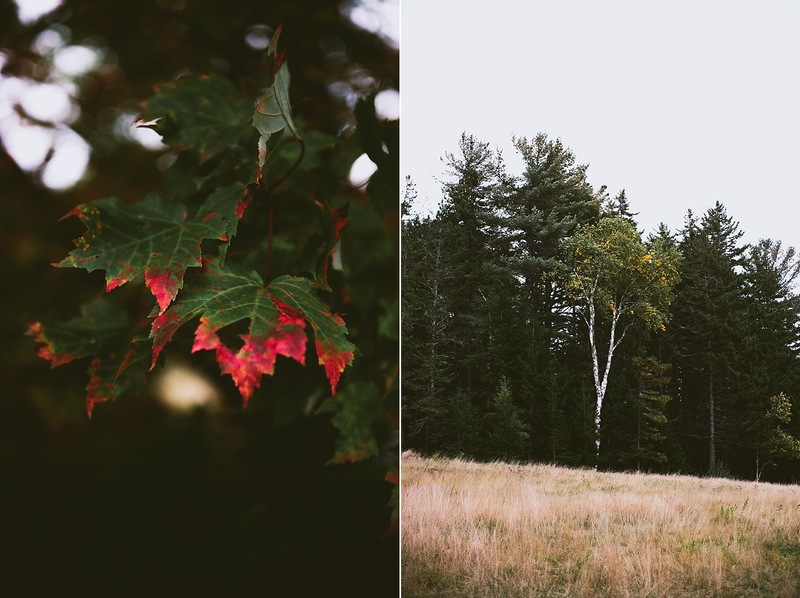 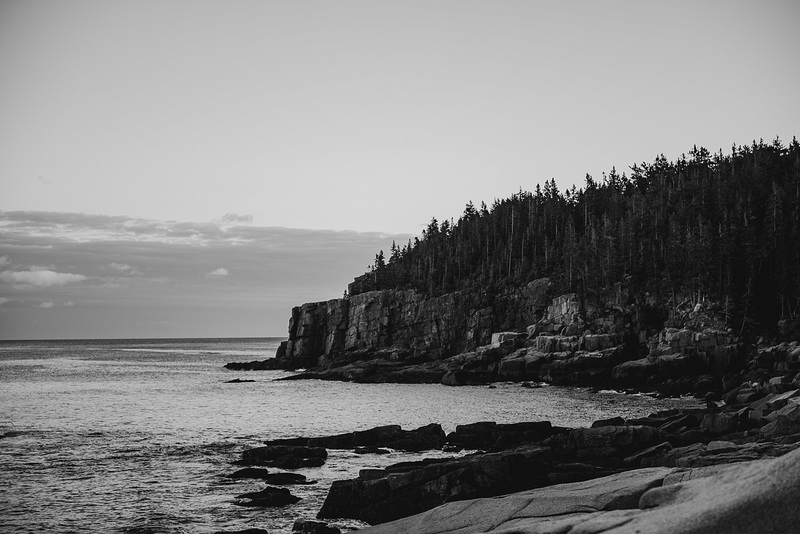 Upon arriving in New England I had heard the whispers of the beauty of Acadia in Maine. 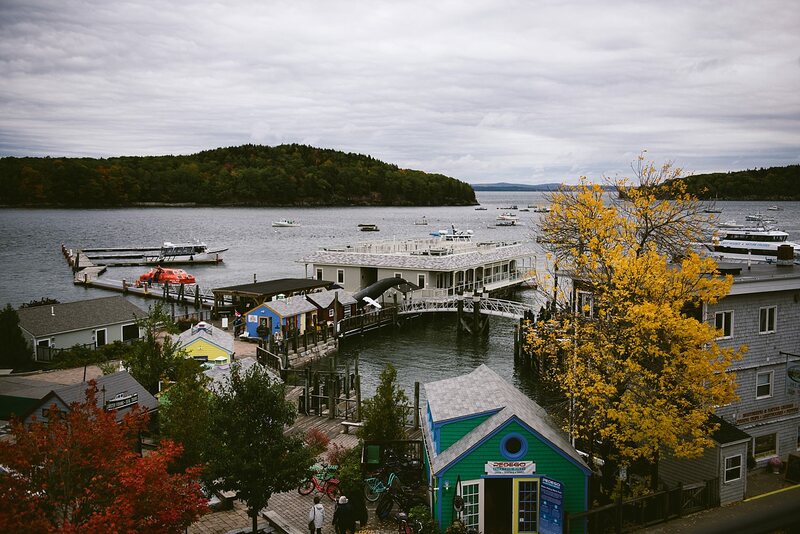 I knew that it was a place people spoke wistfully about, drove multitudes of hours to get to and often and incessantly demanded that we visit. 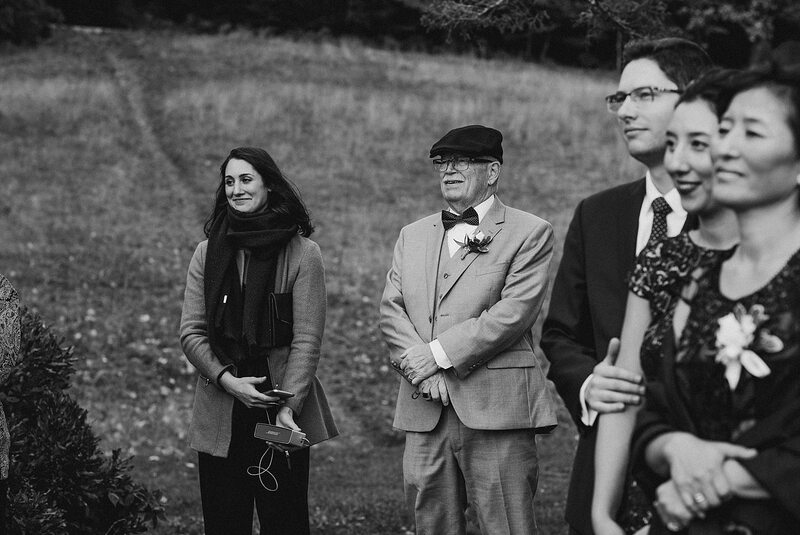 So it made perfect sense that Katy and Eddie would want to have their intimate wedding ceremony there with their closest family. 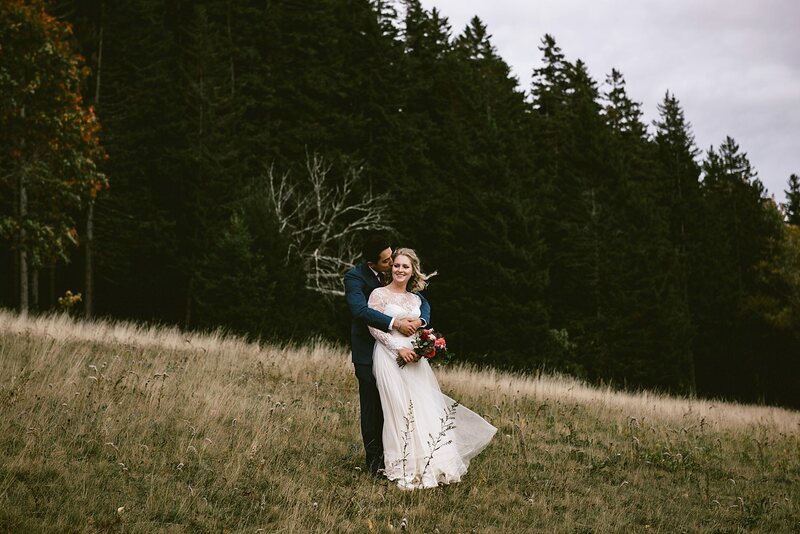 Its a place where you can leave everything behind and be present and together. 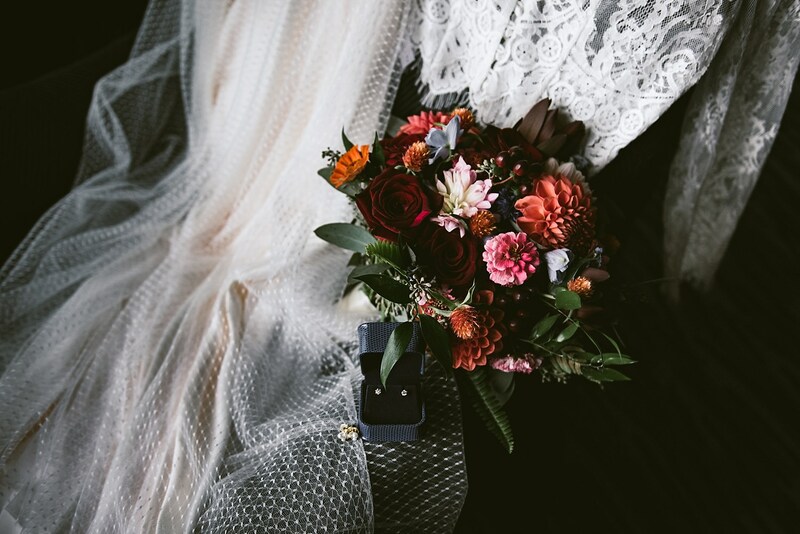 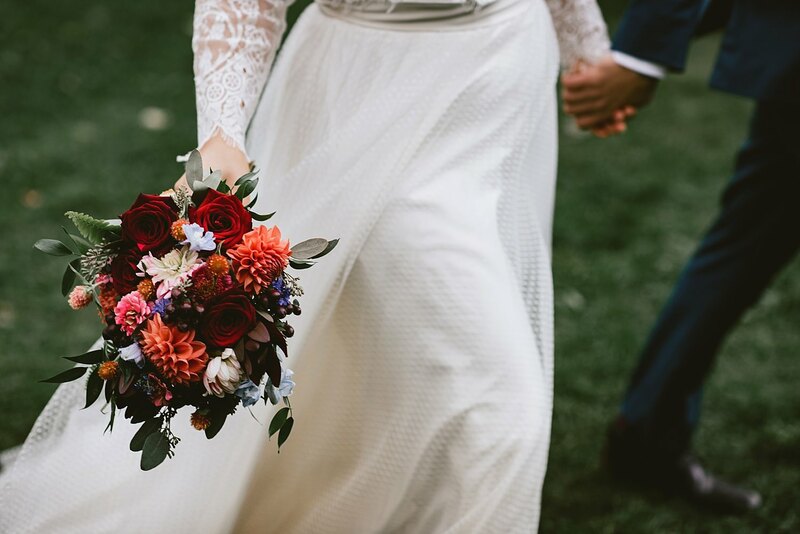 Its also just beautiful and what better way to stand with the person you love most in all the world and promise to be theirs forever! 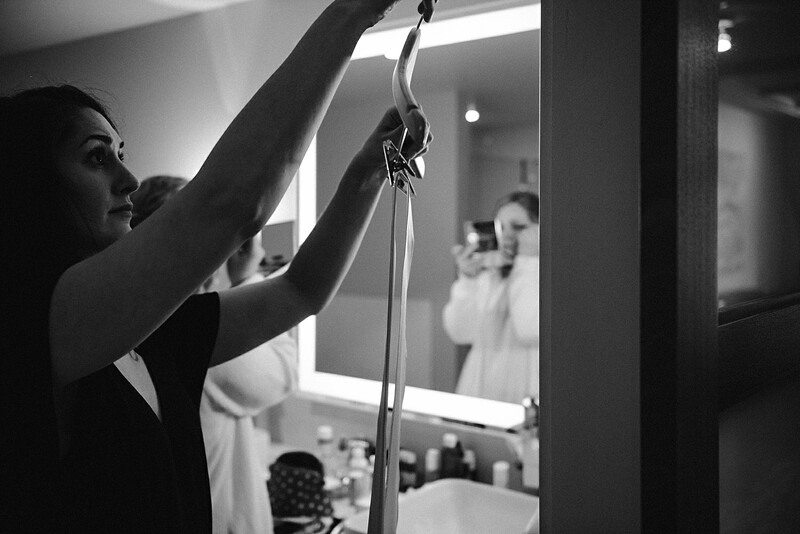 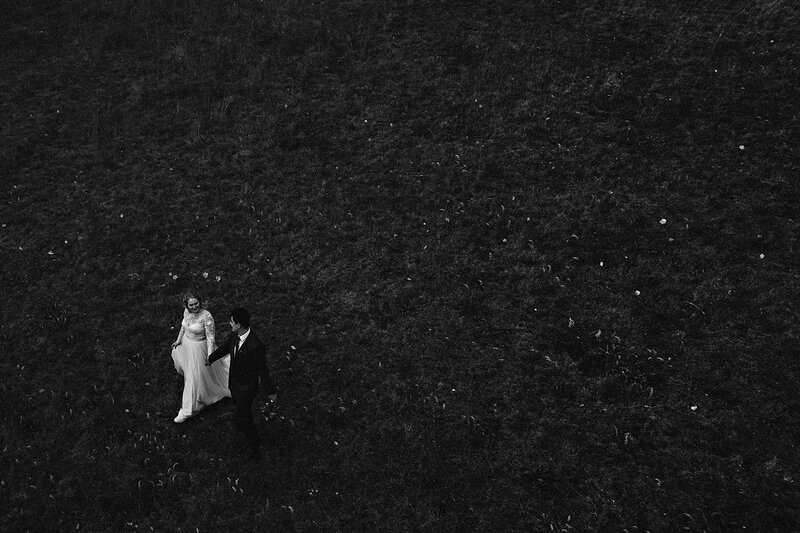 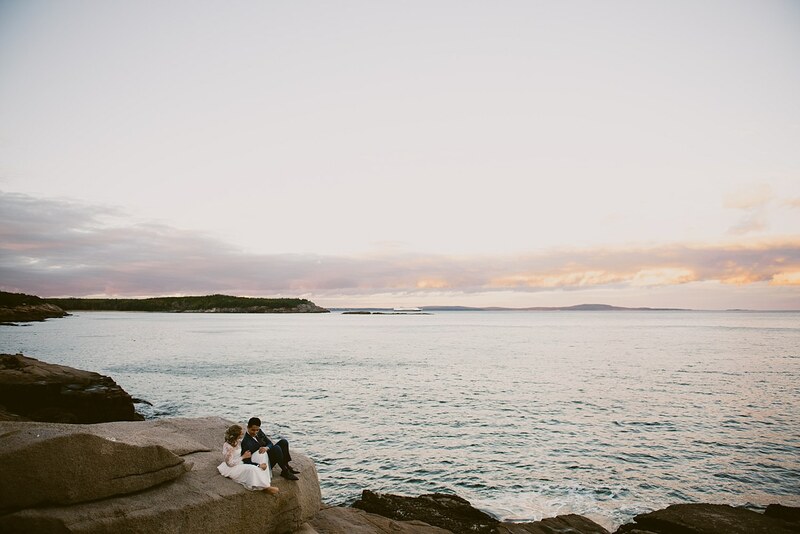 Katy and Eddie were so warm and comfortable together that exploring with them felt effortless. 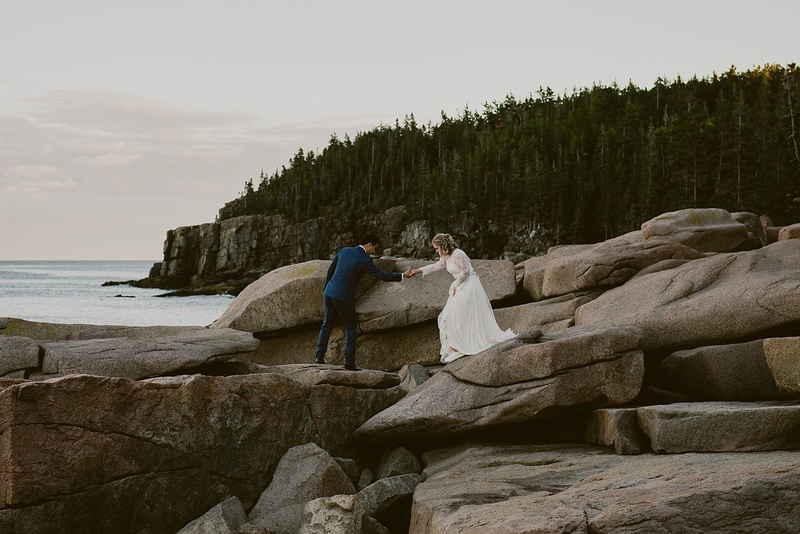 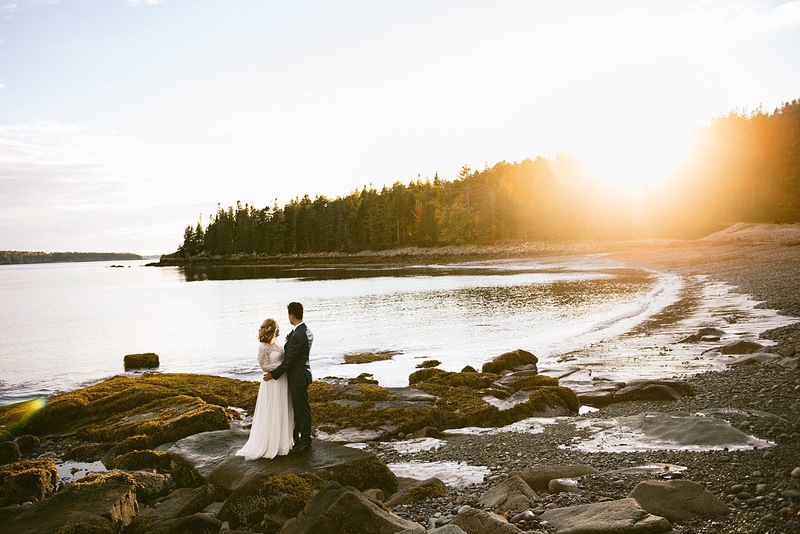 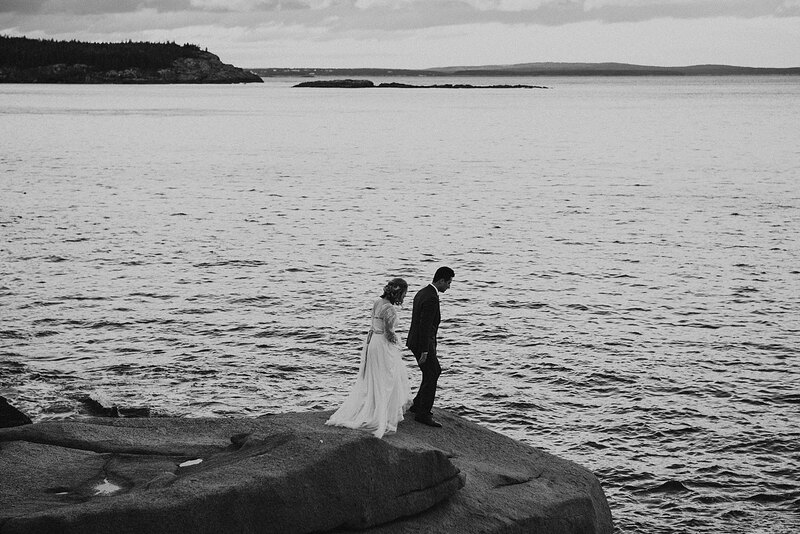 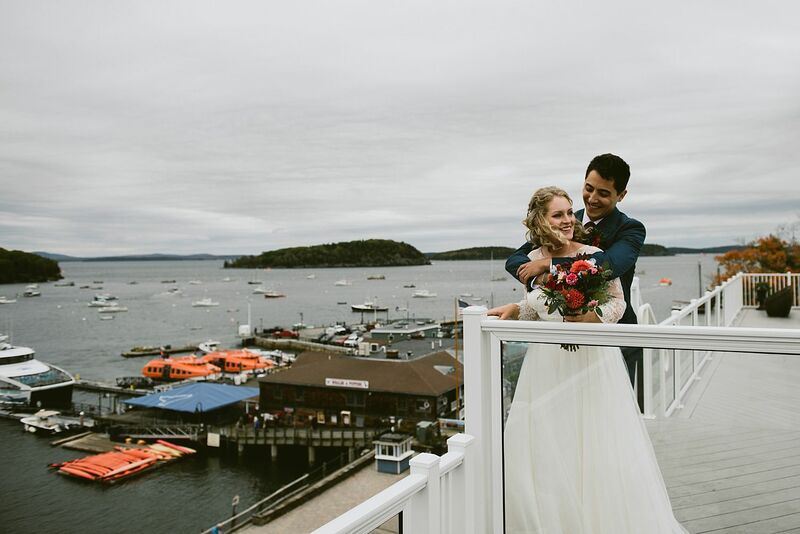 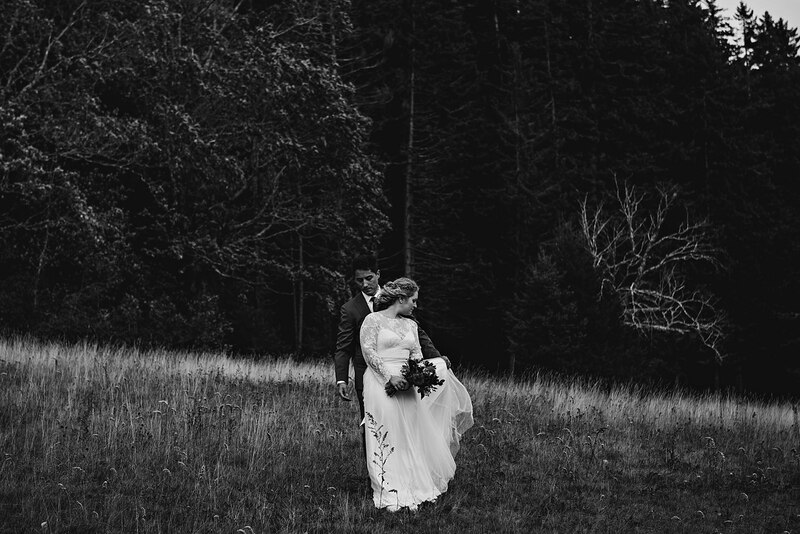 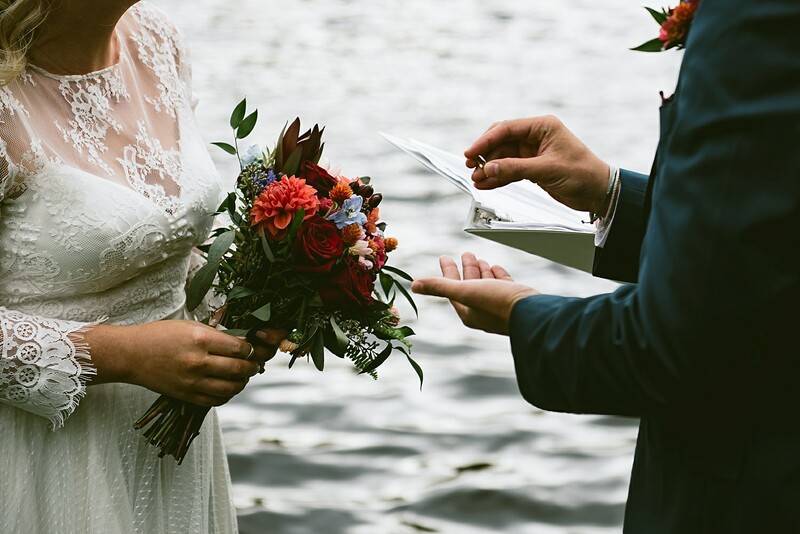 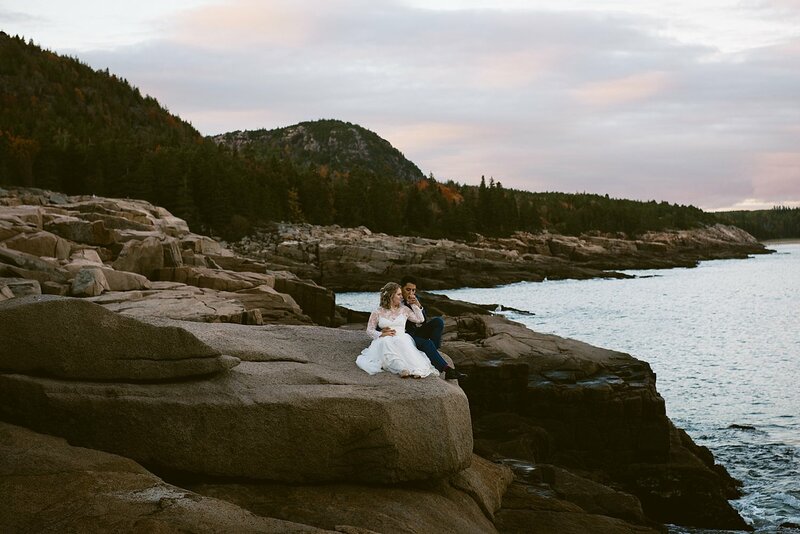 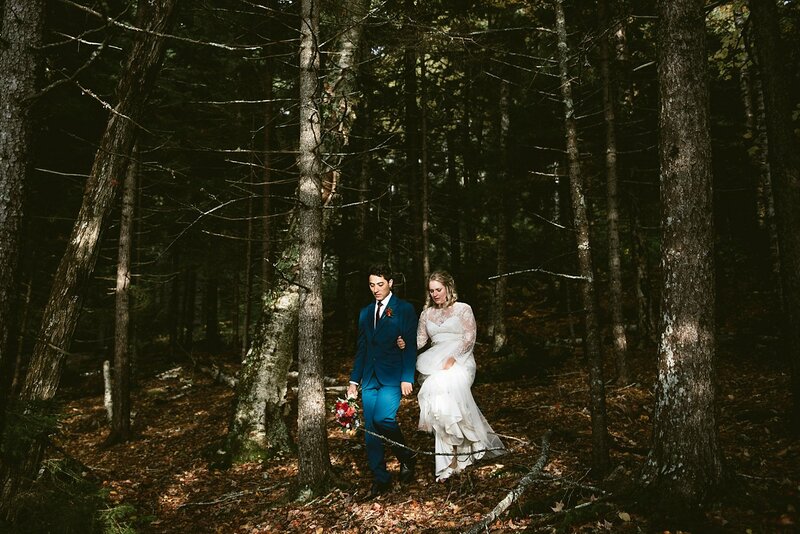 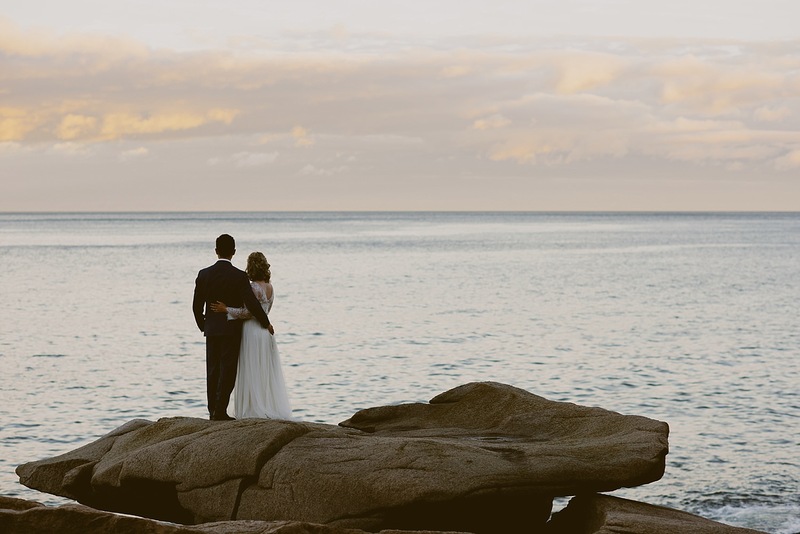 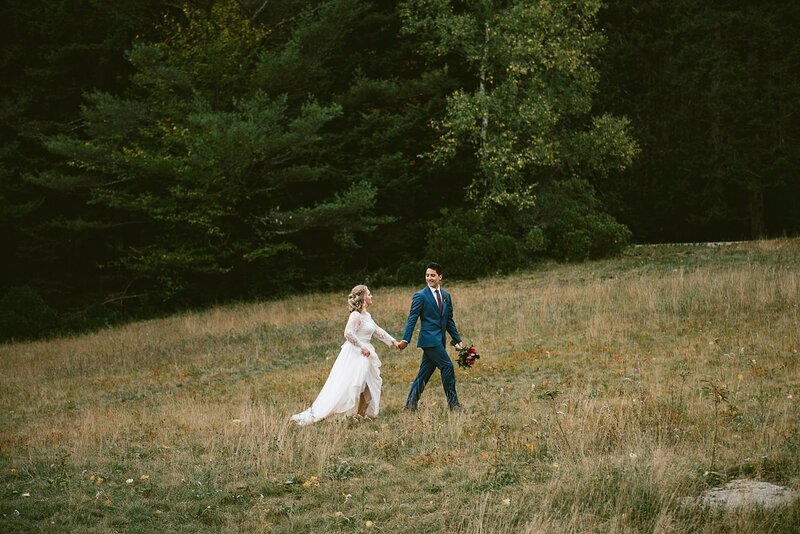 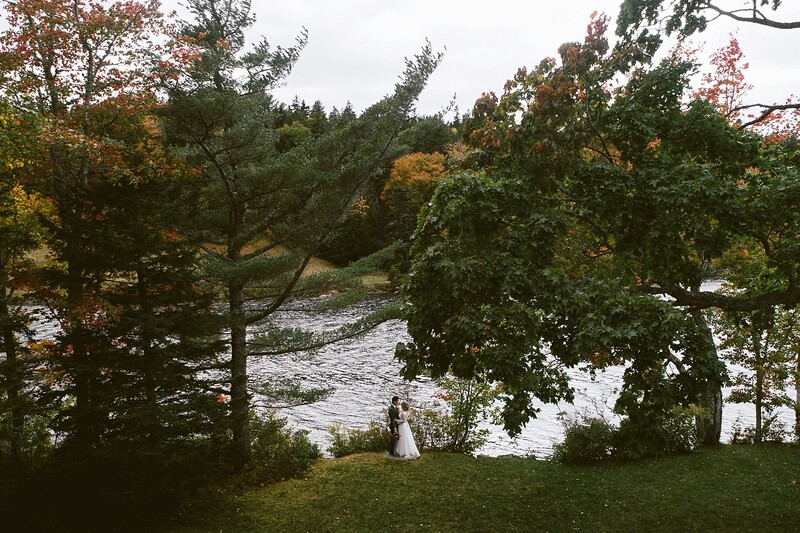 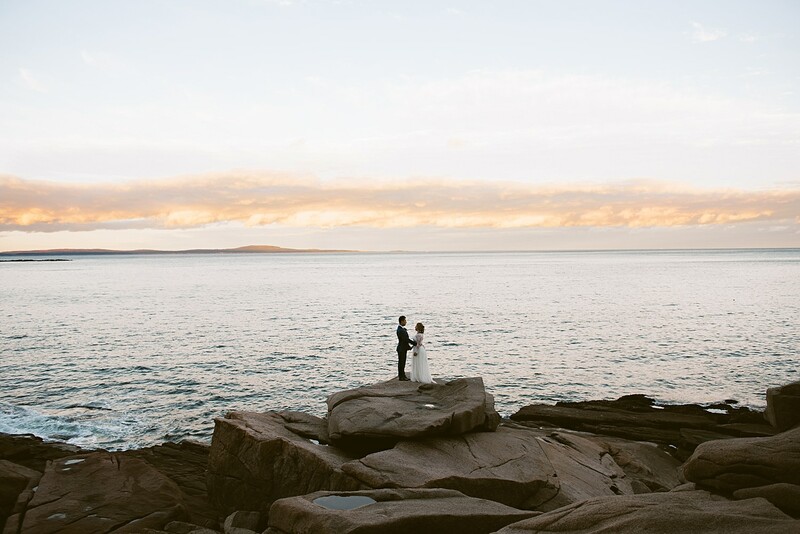 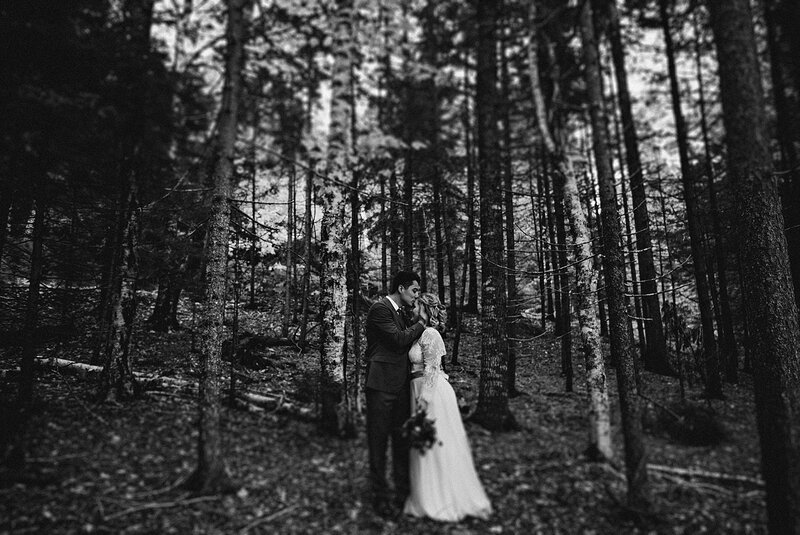 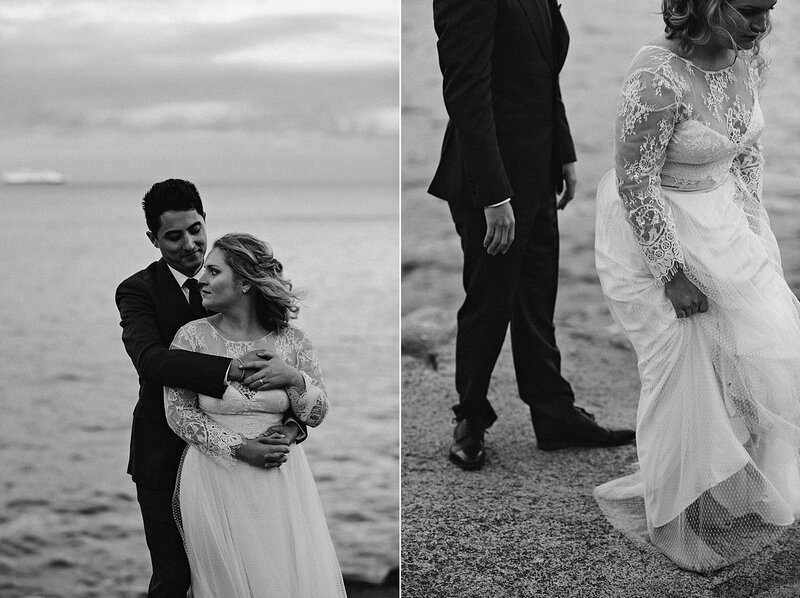 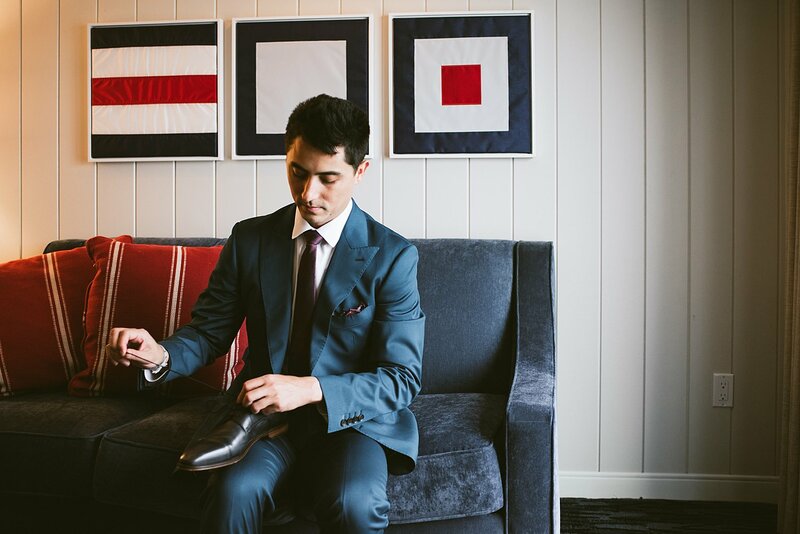 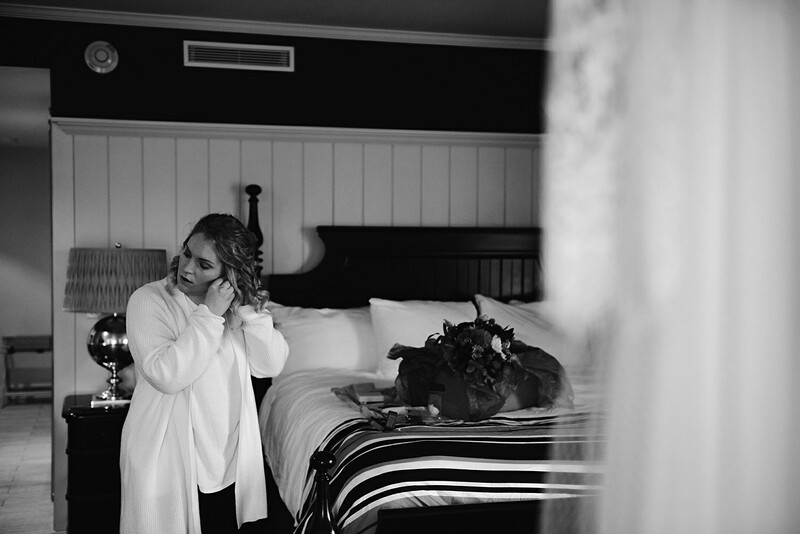 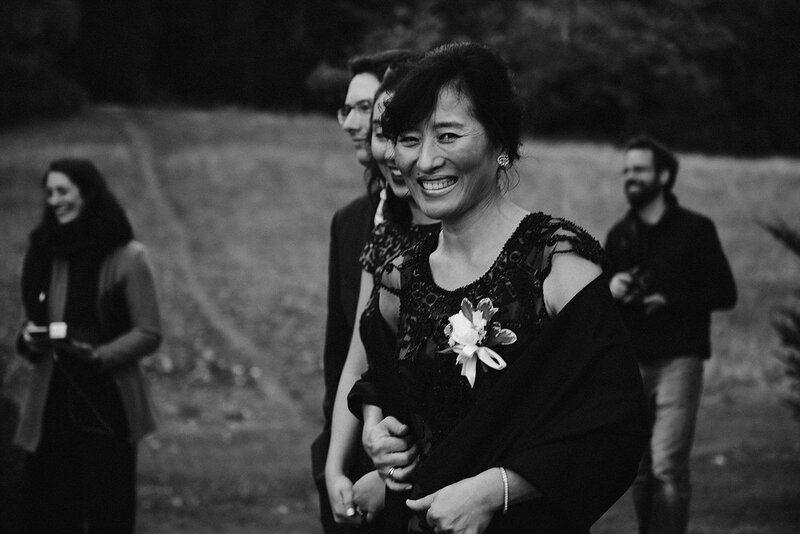 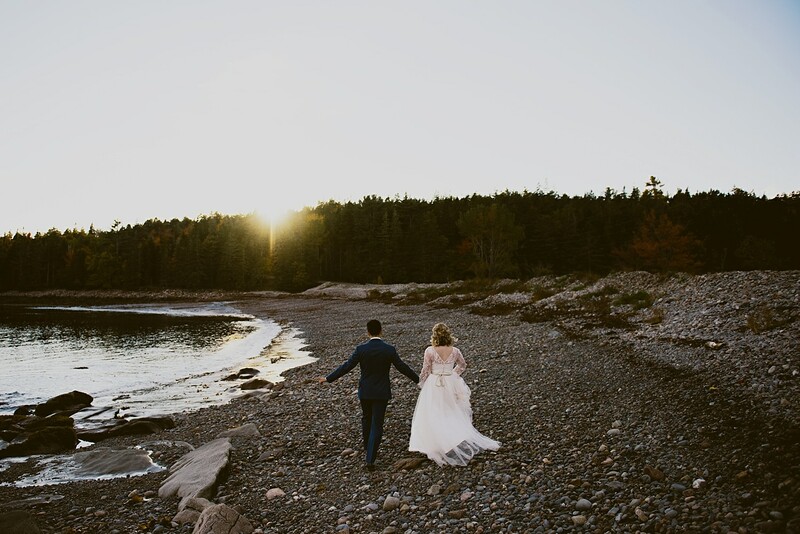 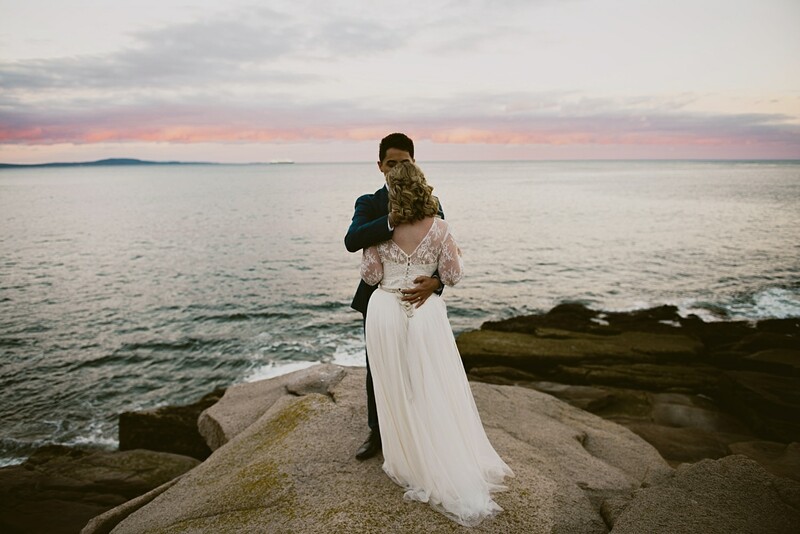 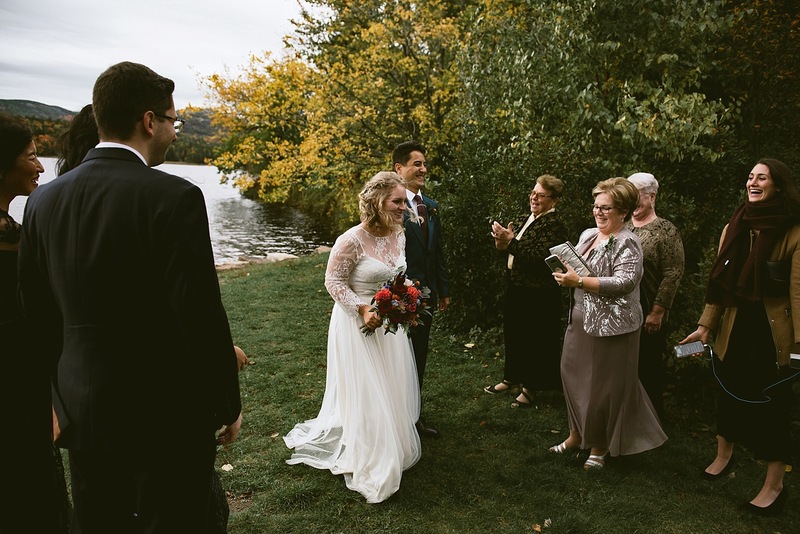 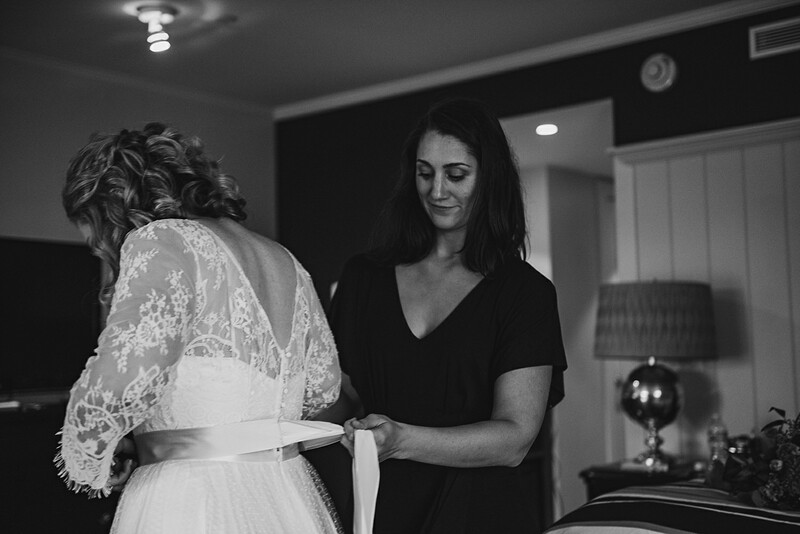 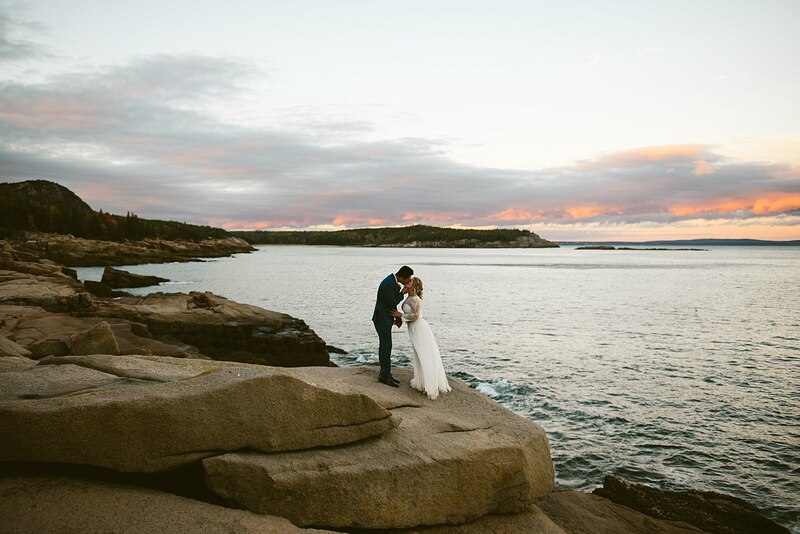 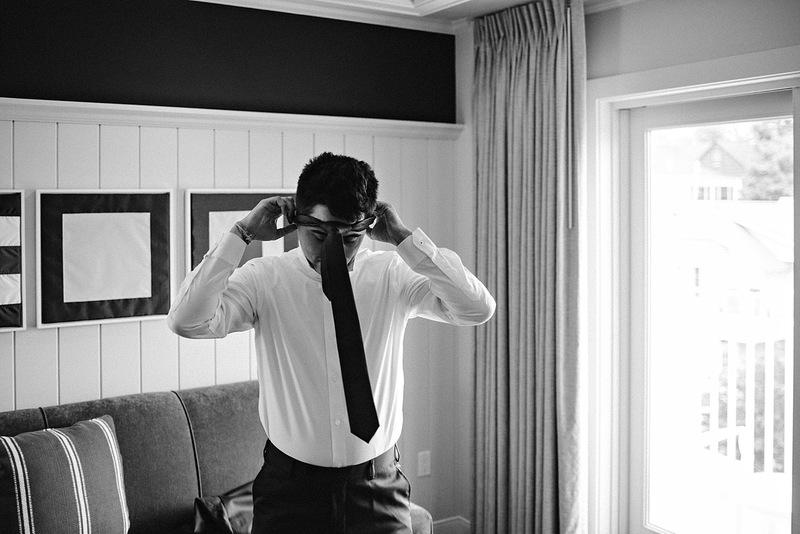 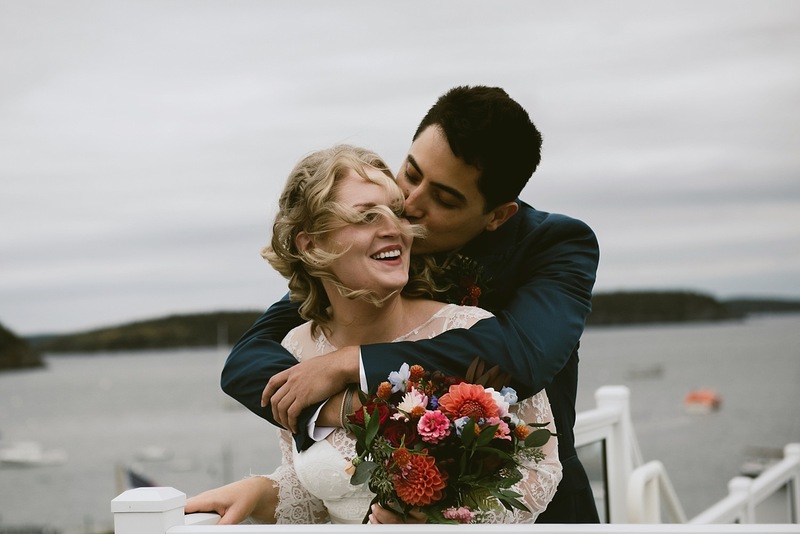 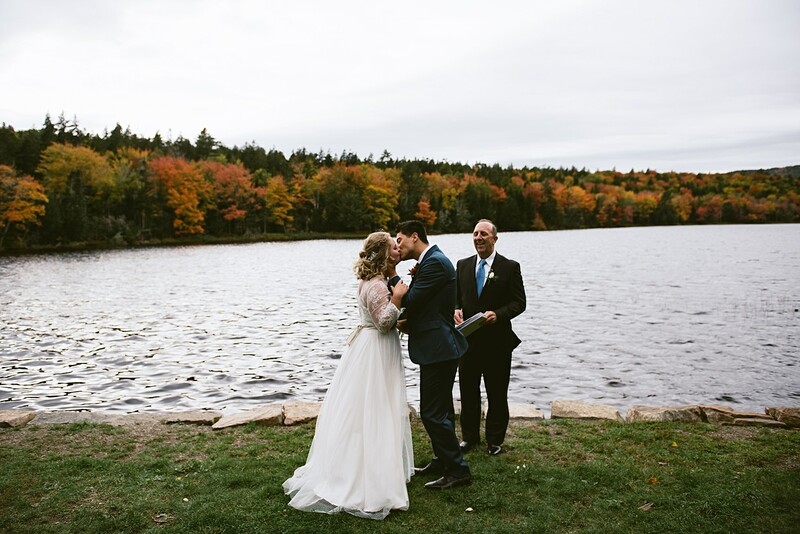 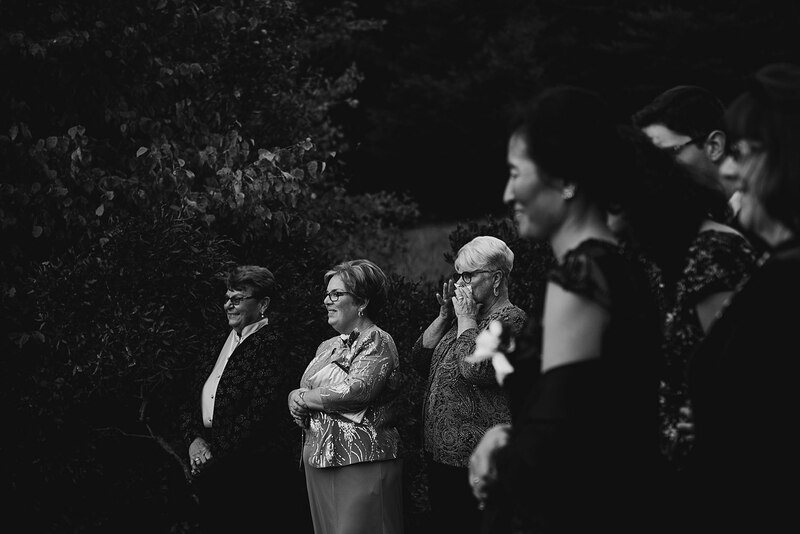 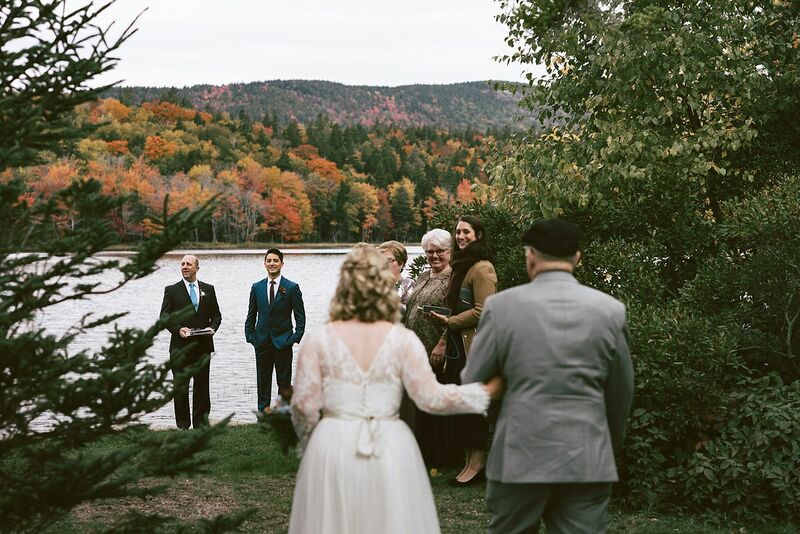 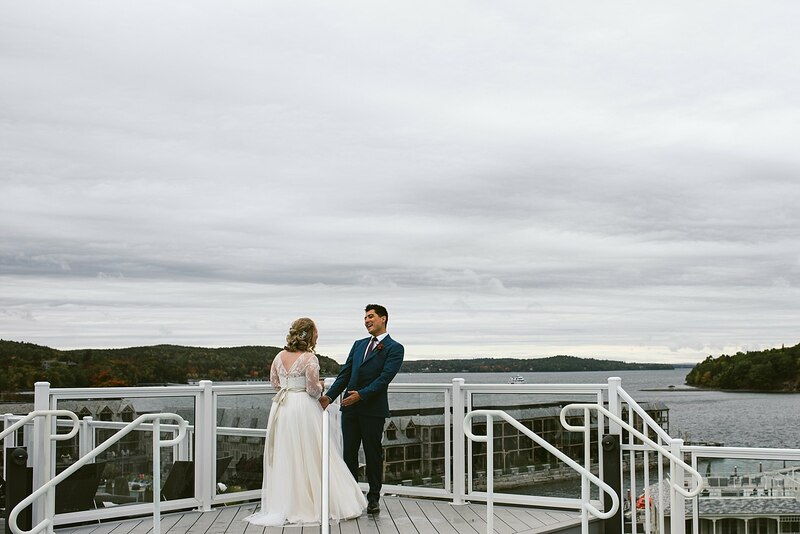 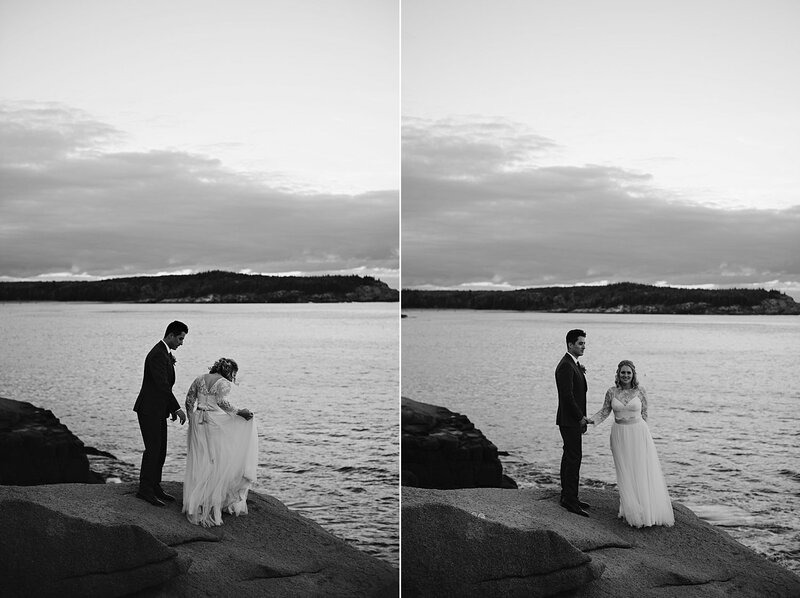 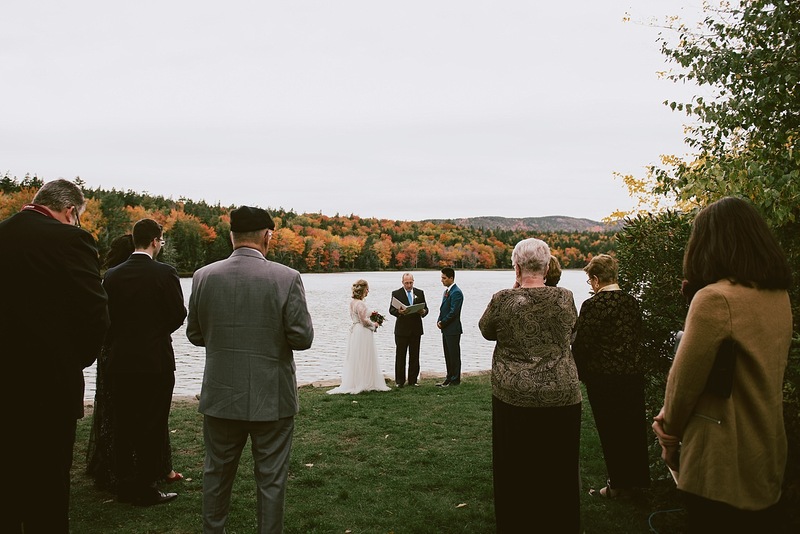 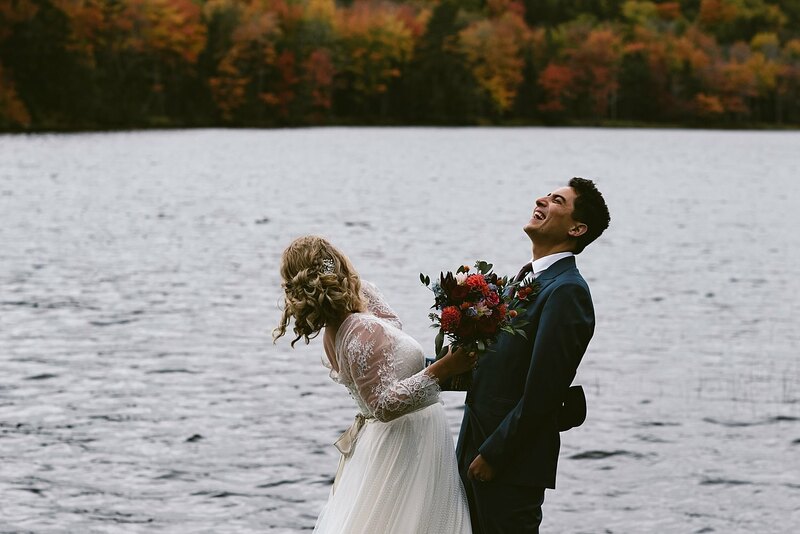 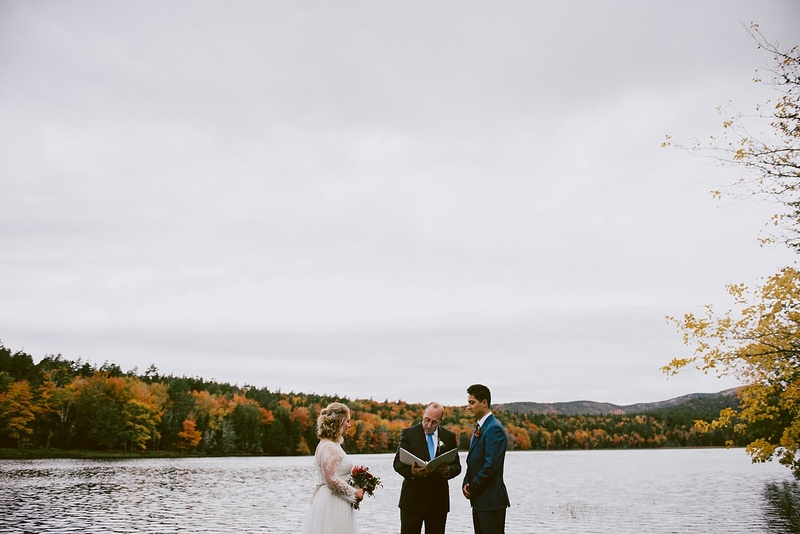 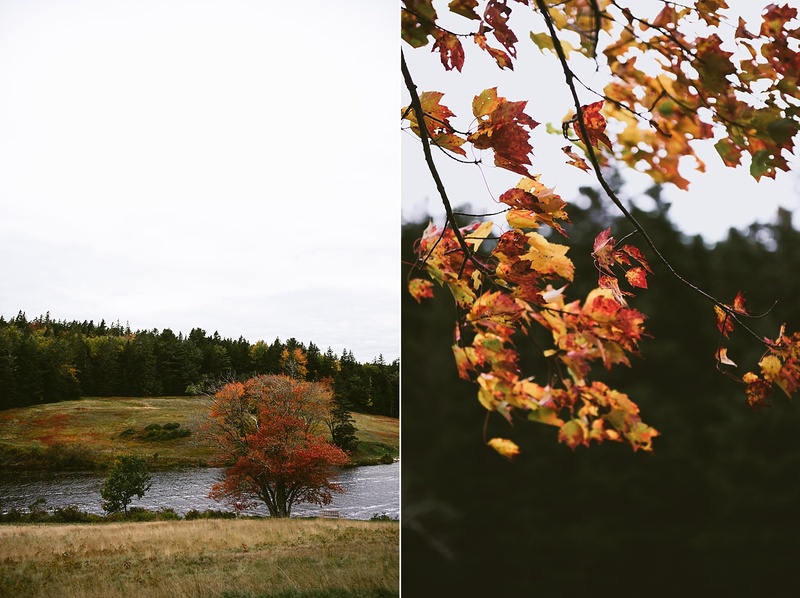 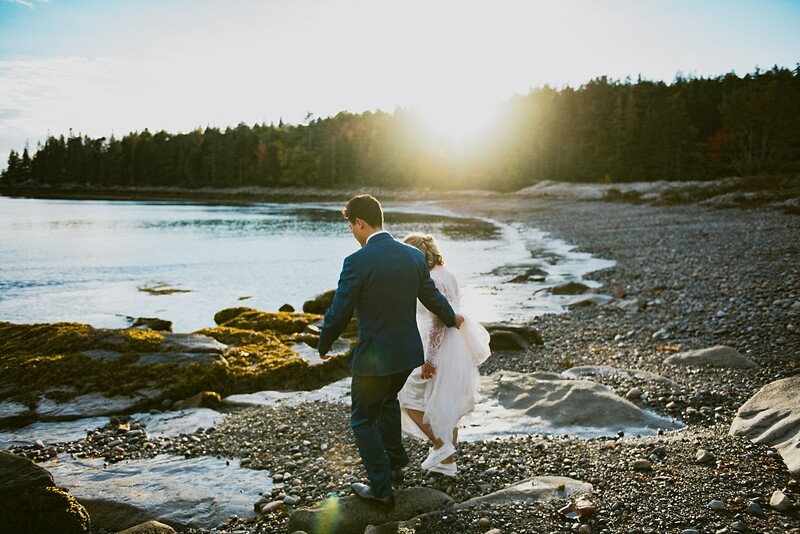 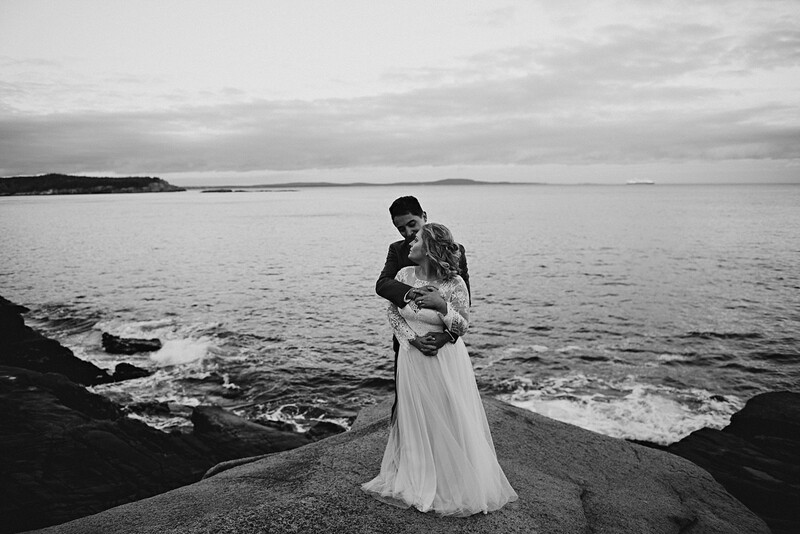 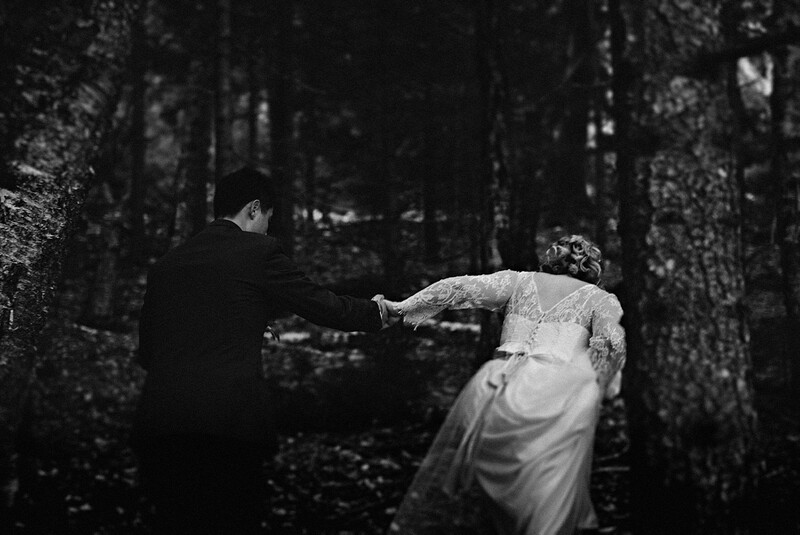 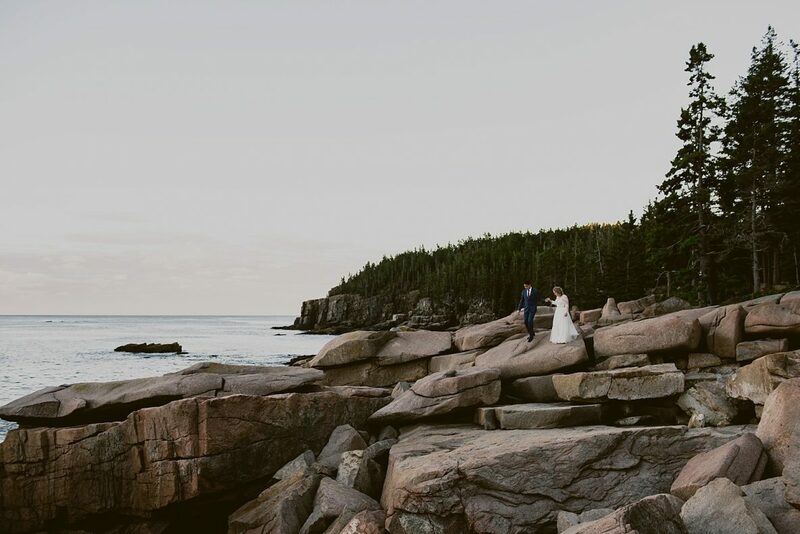 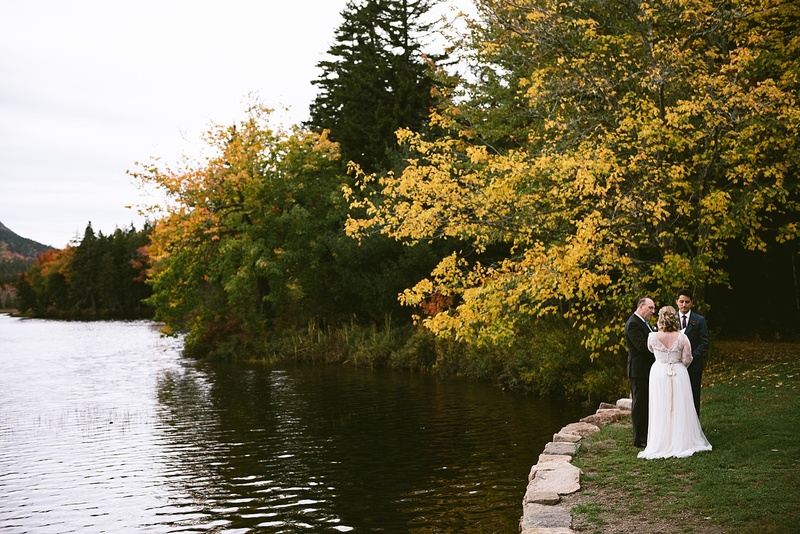 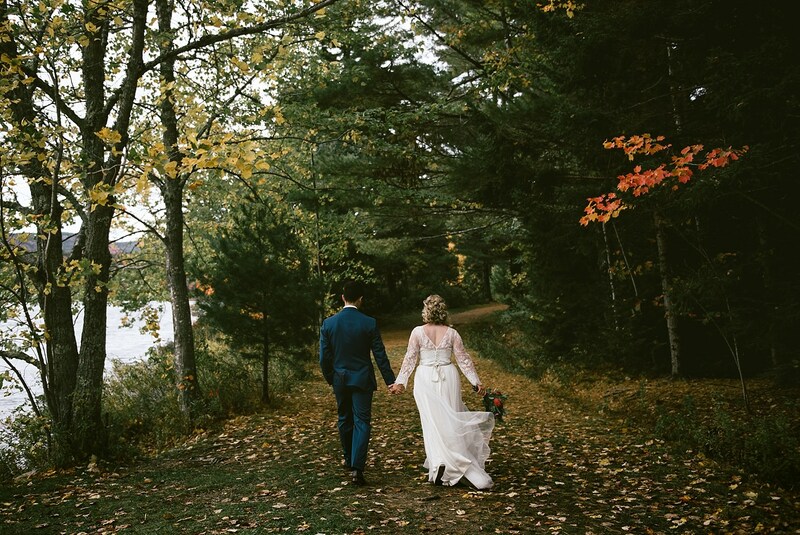 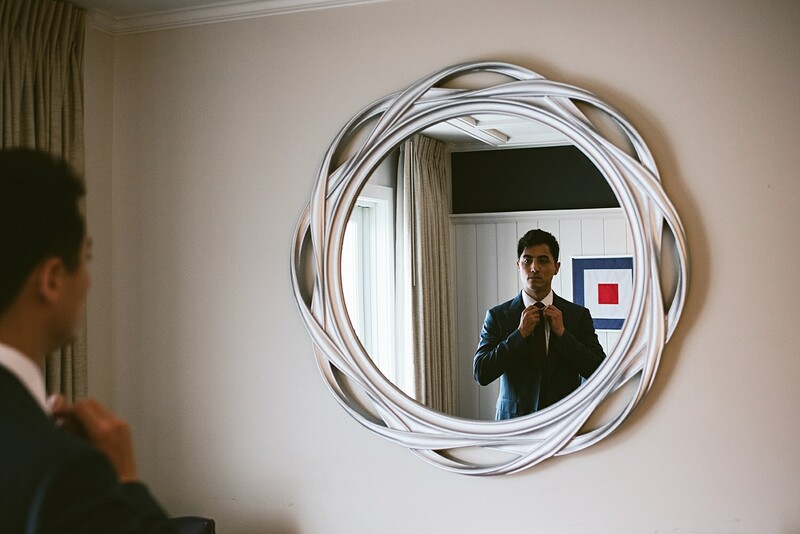 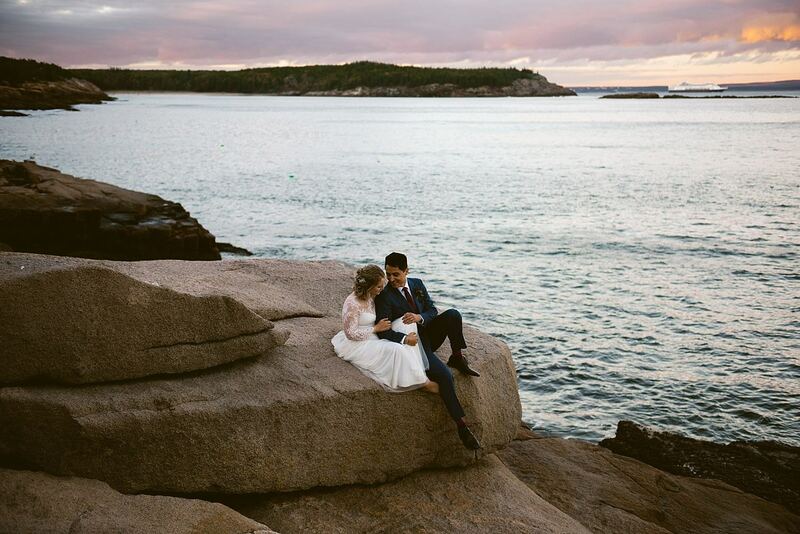 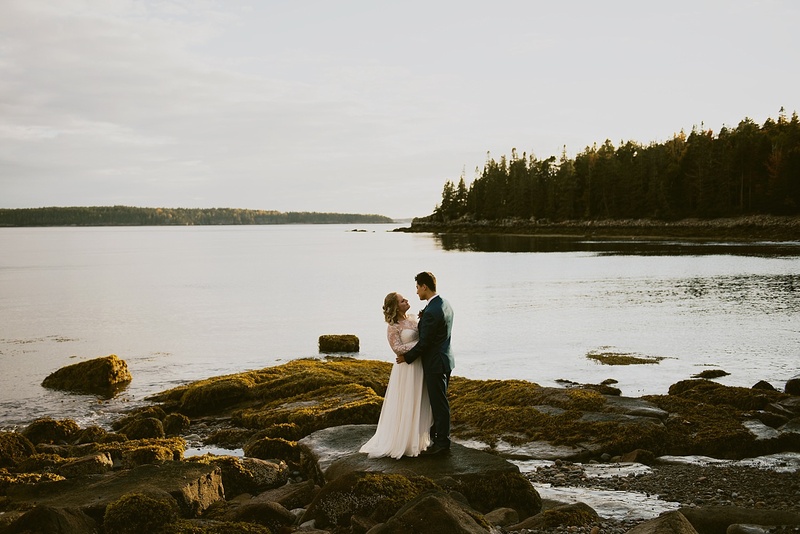 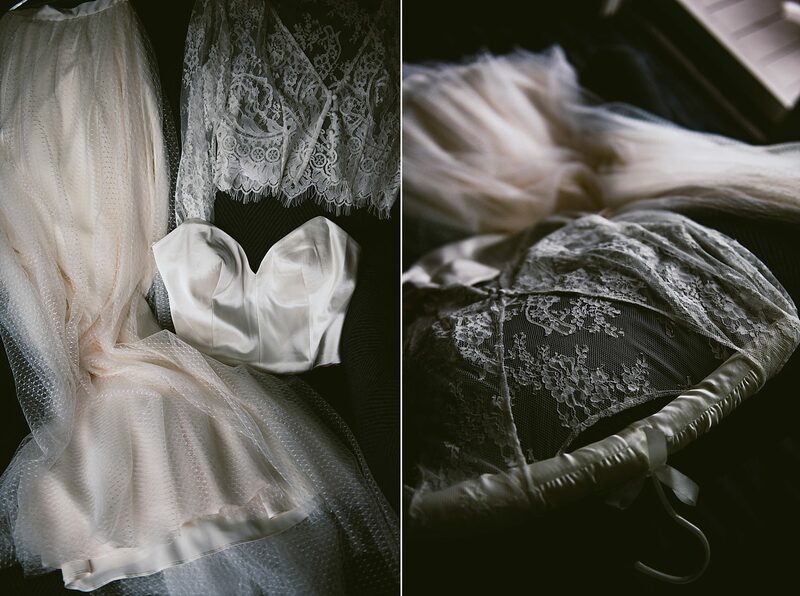 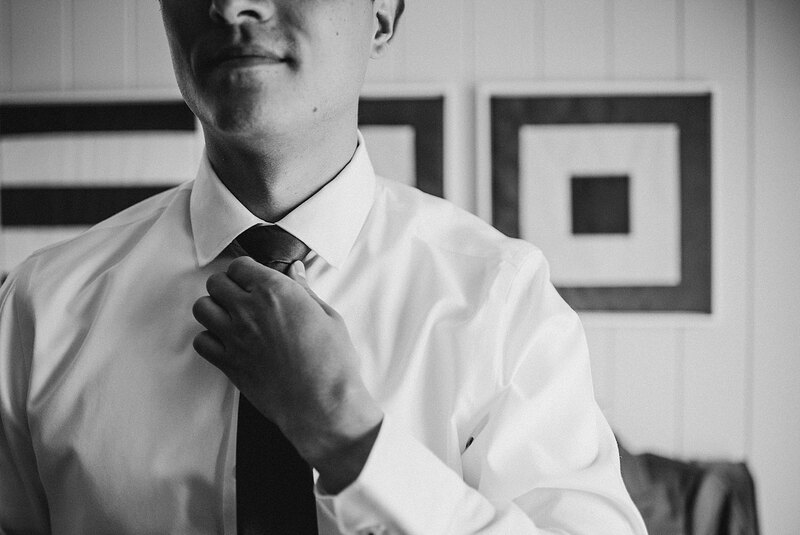 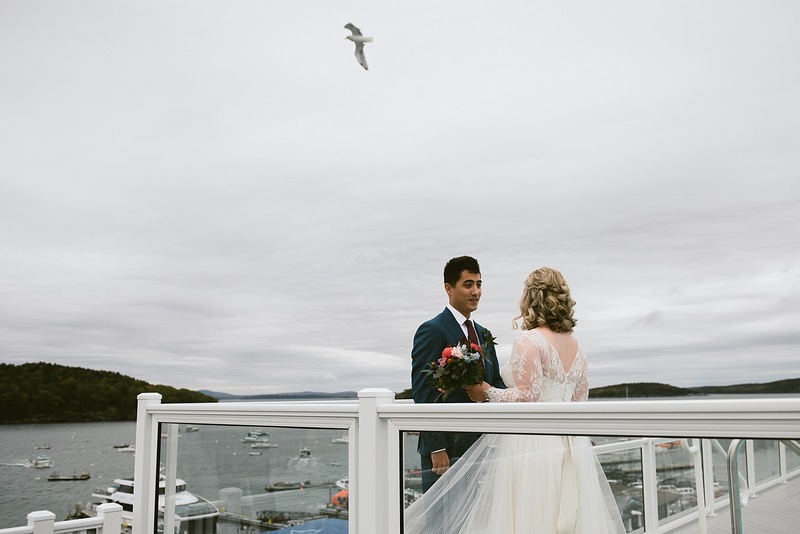 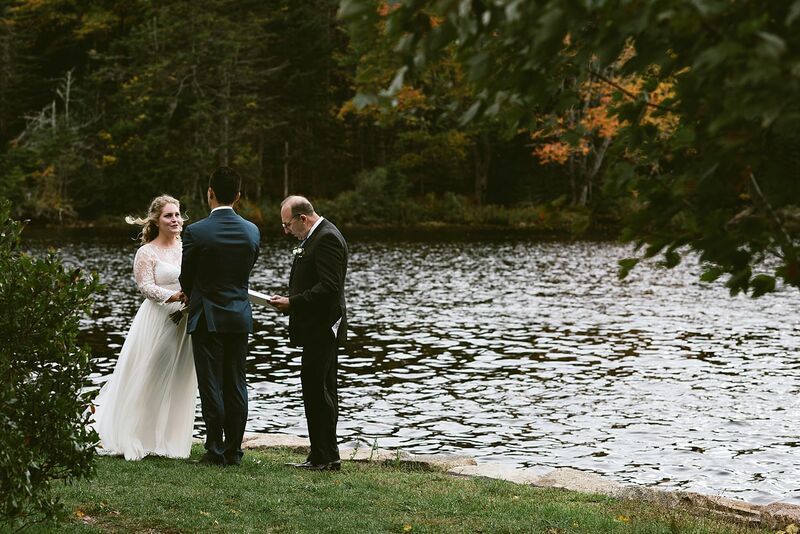 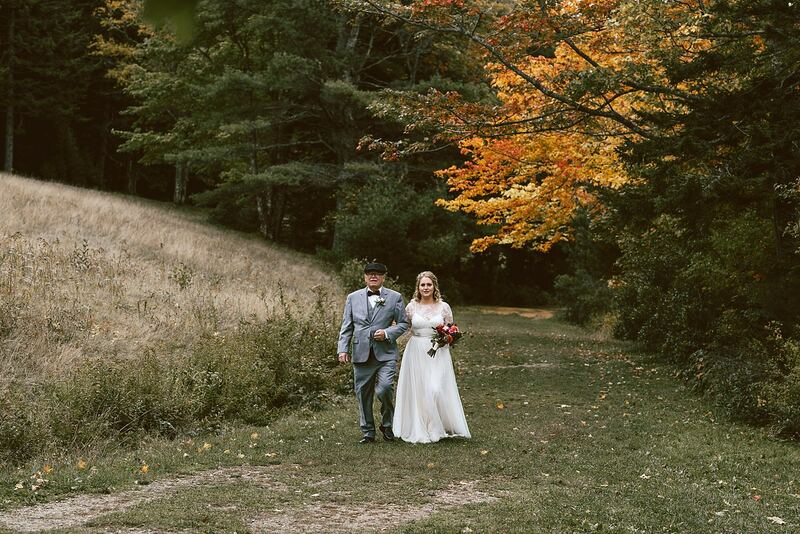 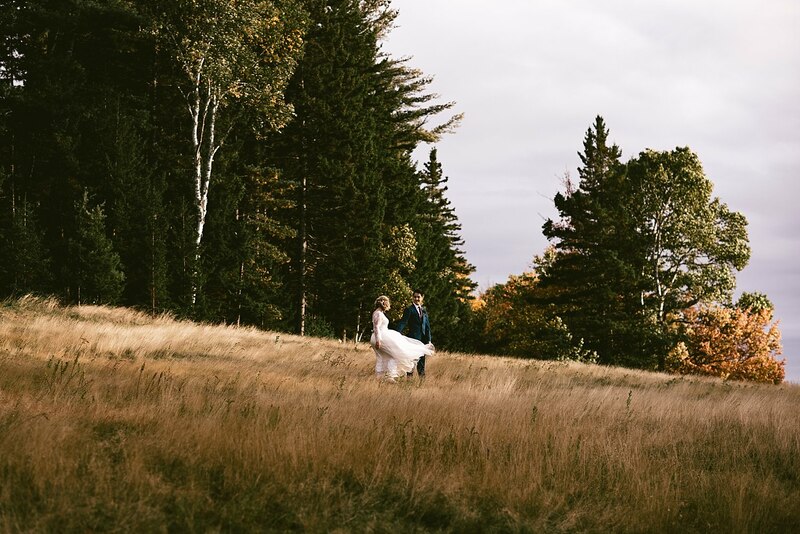 The day unfolded beautifully and Acadia gave them the most beautiful wedding day weather anyone could hope for.